Single Men In Bridgeport - West Virginia - Men Singles | Page 1 | DATEOLICIOUS! If you are interested in finding that special someone, you have arrived at the right location. We have so many Bridgeport, West Virginia single men in your area it’s unbelievable. 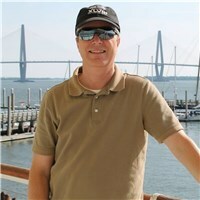 Meeting single men in Bridgeport, West Virginia on Dateolicious.com is easy, simple, fun, and free. So join up today on the fastest growing dating site. Im Looking for my equal partner.